Iraqi forces, supported by US-led airstrikes and special forces, advanced on Mosul from the east and the south on Monday in the first phase of a long-planned offensive to retake the city, which has been in the hands of Islamic State since 2014. 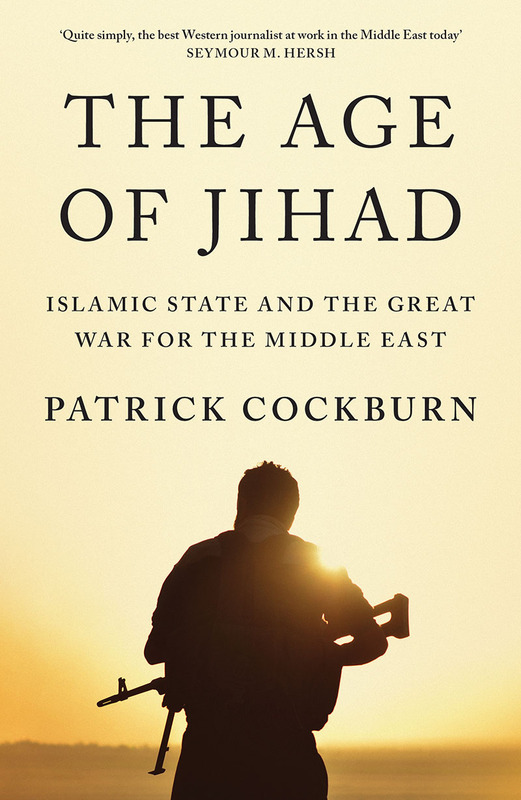 In this extract from The Age of Jihad (40% off until October 22nd), Patrick Cockburn remembers the original seizure of Mosul on the 10th of June 2014, and the days that followed. Islamic fundamentalists have opened new fronts in their battle to establish an Islamic state across Iraq and Syria as they launch attacks in cities which were previously under the control of the Baghdad government. A multipronged assault across central and northern Iraq in the past four days shows that ISIS has taken over from the al-Qa’ida organisation founded by Osama bin Laden as the most powerful and effective extreme jihadi group in the world. ISIS now controls or can operate with impunity in a great stretch of territory in western Iraq and eastern Syria, making it militarily the most successful jihadi movement ever. It has proved itself even more violent and sectarian than what US officials call the ‘core’ al-Qa’ida, led by Ayman al-Zawahiri, who is based in Pakistan. ISIS is highly fanatical, killing Shia Muslims and Christians whenever possible, as well as militarily efficient and under tight direction by top leaders. The creation of a sort of protocaliphate by extreme jihadis in northern Syria and Iraq is provoking fears in surrounding countries, such as Jordan, Saudi Arabia and Turkey, that they will become targets of battle-hardened Sunni fighters. In Iraq in the past four days ISIS has fought its way into the northern capital of Mosul, sent a column of its fighters into the central city of Samarra, taken over Iraq’s largest university at Ramadi and launched devastating bombings in Baghdad. The well-coordinated attacks appear designed to keep the Iraqi security forces off balance, uncertain where the next strike will hit. They started four days ago on Thursday when ISIS fighters in trucks with heavy machine guns stormed into the city of Samarra, which is mostly Sunni but contains the golden-domed al-Askari shrine sacred to Shia. Destruction of this shrine by al-Qa’ida bombers in 2006 led to wholesale massacres of Sunni by Shia. The ISIS tactic is to make a surprise attack, inflict maximum casualties and spread fear before withdrawing without suffering heavy losses. On Friday, they attacked in Mosul, where their power is already strong enough to tax local businesses, from family groceries to mobile phone and construction companies. Some 200 people were killed in the fighting, according to hospitals, though the government gives a figure of 59 dead, 21 of them policemen and 38 insurgents. This assault was followed by an early morning attack on Saturday on the University of Anbar at Ramadi, which has 10,000 students. Ahmed al-Mehamdi, a student who was taken hostage, told a news agency that he was woken up by the sound of shots, looked out the window and saw armed men dressed in black running across the campus. They entered his dormitory, said they belonged to ISIS, told everybody to stay in their rooms but took others away. One leader told female students: ‘We will teach you a lesson you’ll never forget.’ They turned the science building into their headquarters, but may later have retreated. On the same day, seven bombs exploded in an hour in Baghdad, killing at least 52 people. Roads out of Mosul are choked with refugees heading for what they hope is safety in Kurdish-held territory. A university lecturer from a well-known family in Mosul says: ‘Mosul has fallen completely into the hands of the terrorists. Everyone is fleeing… . We are also packing up to leave home, but we have no idea where to go.’ Many of the refugees fleeing towards the Kurdistan Regional Government and the Kurdish capital Arbil are Sunni Arabs but they are likely to be joined by members of small sects and ethnic groups such as the Yazidis and Shabak, whom ISIS might kill. Mosul is a majority Sunni Arab city and traditionally the home of many families that joined the Iraqi Army under Saddam Hussein. His defence minister was normally somebody from the area. Ever since the US-led invasion in 2003, control of the city by Baghdad has been unstable. In 2004 it was stormed by Sunni insurgents who captured most of it and held it for three days until they retreated after the US military appealed to the Kurds to send Peshmerga units to reclaim it. Could this happen again? The Kurds lay claim to large parts of Nineveh province though not to Mosul itself. The ISIS success shows that the local Sunni political leadership has little influence since the governor, Atheel Nujaifi, only narrowly escaped from his provincial headquarters before ISIS captured it. What will the Iraqi government do now? It could counter-attack. In theory it has 900,000 soldiers under arms. But the Iraqi Army is more of a patronage system to provide jobs rather than a trained military force. 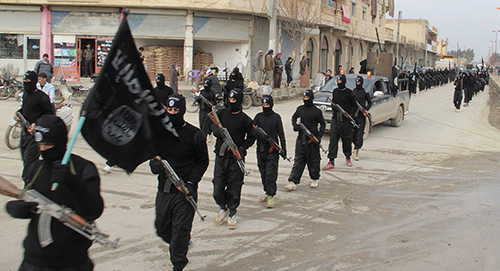 ISIS has grown swiftly in strength over the past three years under the leadership of Abu Bakr al-Baghdadi. It has become highly organised and controlled from the centre, but without becoming less merciless and fanatical. Its propaganda films frequently show non-Sunni Muslims being executed and its reputation for savagery may have helped demoralise the Iraqi security forces in Mosul. 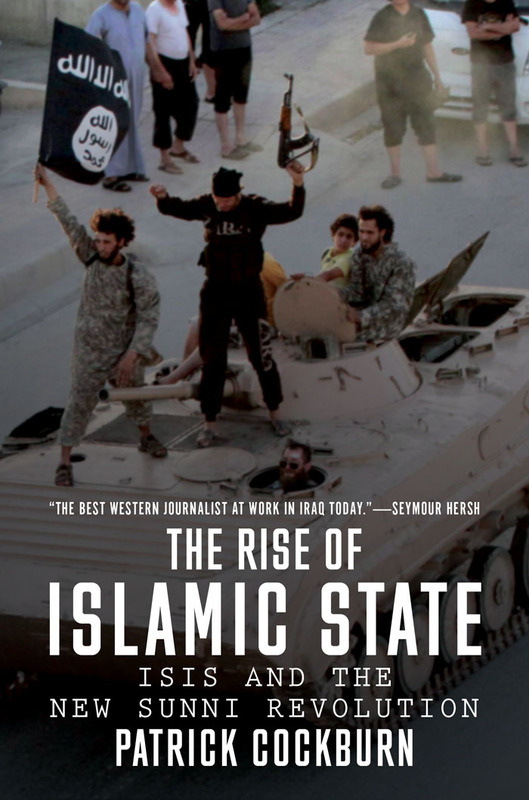 The resurgence of ISIS is also explained by the Iraqi Sunni being emboldened by the revolt of the Sunni in Syria in 2011. 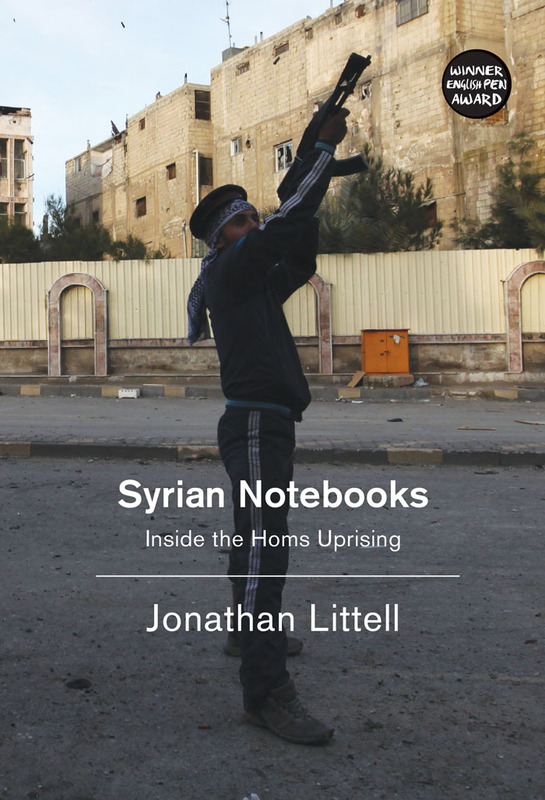 The Sunni uprisings in Iraq and Syria have combined into one crisis. The capture of Mosul by ISIS is an earthquake in the politics of Iraq and Syria. Moreover, the impact of this event will soon be felt across the Middle East as governments take on board the fact that a Sunni proto-caliphate is spreading. The next few weeks will be crucial in determining the outcome of ISIS’ startling success in taking over a city of 1.4 million people, garrisoned by a large Iraqi security force, with as few as 1,300 fighters. Will victory in Mosul be followed by success in other provinces where there is a heavy concentration of Sunni, such as Salahuddin, Anbar and Diyala? Already, the insurgents have captured the important oil refinery town of Baiji, with scarcely a shot fired, by simply calling ahead by phone to tell the police and army to lay down their weapons and withdraw. These spectacular advances would not be happening unless there was tacit support and no armed resistance from the Sunni Arab community in northern and central Iraq. Many people rightly suspect and fear ISIS’ bloodthirsty and sectarian fanaticism, but for the moment these suspicions and fears have been pushed to one side by even greater hatred of Iraq’s Shia-dominated government. The fall of Mosul has changed the balance of power between Iraq’s three main communities: Shia, Sunni and Kurds. Shia rule in non-Shia areas has received a blow from which it will be difficult for it to recover; Kurdish dominance in mixed Kurdish–Arab areas will expand; the 5 or 6 million Sunni Arabs will never be marginalised again. It is not just in Iraq that the balance of power is changing. The Iraq–Syria border no longer exists for most practical purposes. In Syria ISIS forces will become vastly more powerful because the movement can draw on fighters, weapons and money from its newly conquered territories in Iraq. The rest of the Syrian military opposition to President Bashar al-Assad will find it difficult to compete on the battlefield with ISIS if it manages to consolidate its recent victories. ISIS is itself amazed by its spectacular victories this week. In a speech its spokesman, Abu Mohamed al-Adnani, says that ‘enemies and supporters alike are flabbergasted’ by its triumphs that he attributes to divine intervention. Adnani is derisive about ‘the Fool of the Shia. Nouri [al-Maliki]: Look at what you have done with your people, fool! You were always an underwear merchant! … Your people could have reigned supreme over Iraq, but you made them lose that opportunity. Even the Shia will curse you now.’ This analysis, though rhetorical, is probably correct and many Shia today blame Maliki’s leadership for the disasters that face them. 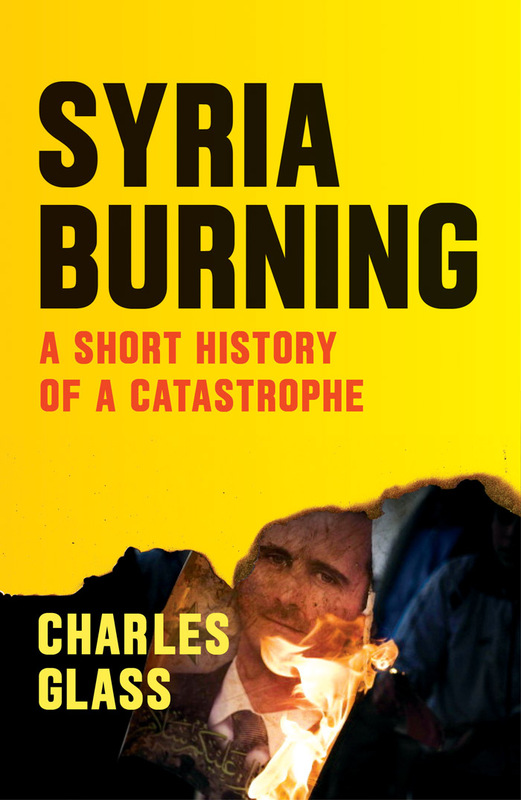 Overall, there is a strong sense that ISIS did not expect such a swift victory, recalling that only recently they had been subjected to ‘imprisonment, torture, military raids.’ Their houses had been occupied and they had had to take refuge ‘in the mountains, in underground bunkers, in valleys, and in the expanse of the desert.’ The flight of 30,000 Iraqi Army troops and police from Mosul in the face of 1,300 or so ISIS fighters seems to have caught the group’s leadership by surprise, much as it did the rest of the world. Again and again Adnani spits out sectarian hatred of the Shia. ‘The Shia are a disgraced people,’ he says, accusing them of being polytheists ‘who worship the dead and stone’. The new war in Iraq could be even more savage than the horrors that went before. Iraq is breaking up, with Shia and ethnic minorities fleeing massacres as a general Sunni revolt, led by ISIS, sweeps through northern Iraq. The ISIS assault is still gaining victories, capturing the Shia Turkoman town of Tal Afar west of Mosul after heavy fighting against one of the Iraqi Army’s more effective units. Pictures and evidence from eyewitnesses confirm that ISIS has massacred some 1,700 Shia captives, many of them air force cadets, at the air force academy outside Tikrit, showing that it intends to cleanse its new conquests of Shia. Sunni cadets were told to go home. If the battle moves to Baghdad, then the Shia majority in the capital might see the Sunni enclaves, particularly those in west Baghdad, such as Amiriya and Khadra, as weak points in their defences, and drive out the inhabitants. In a misguided effort to sustain the morale of people in the capital, the government has closed down the internet. It had already closed YouTube, Facebook and Twitter. The excuse is that ISIS uses them to communicate, but this is extremely unlikely since ISIS has a more professional communications system of its own. Since there is little confidence in the news on government-run television stations, or provided by official spokesmen, the internet shutdown is creating a vacuum of information filled by frightening rumours that are difficult to check. The result is an atmosphere of growing panic in Baghdad with volunteers from the Shia militias being trucked to Samarra, north of the capital, to stop the ISIS advance. Many civilians are leaving Baghdad and the better-off have already gone abroad. The head of an Iraqi security company tells me: ‘I am off to Dubai on an unscheduled holiday to see my daughters because all the foreigners I was protecting have already left.’ The price of a cylinder of propane gas, used by Iraqis for cooking, has doubled to 6,000 Iraqi dinars, because it normally comes from Kirkuk, the road to which is now cut off by ISIS fighters. Rumours swirl through Baghdad. There was a report this morning that the whole of Anbar, the giant Sunni province, which normally has a population of 1.5 million, had fallen. But a call to a friend in its capital Ramadi revealed that fighting is still going on. A former minister last night told me that ISIS, unable to take Samarra, had switched its assault to Baquba in Diyala province, one of the gateways to Baghdad, but a resident denied there was fighting.